Home DVD available at this link Shop PBS. Educational DVD available at this link Shop Montana PBS. The hope and determination of modern-day American Indian life is revealed in this film about what it takes to win one of the most exciting and perilous forms of horse racing practiced anywhere in the world today. 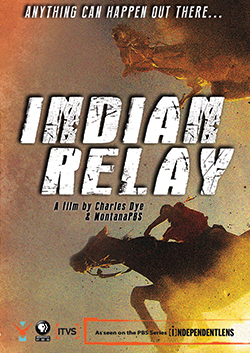 Featuring remarkable high-speed cinematography, Indian Relay follows three teams from different American Indian communities as they prepare for and compete in a grueling Indian Relay season - all hearts set on the glory and honor of winning an Indian Relay National Championship.